Chrome client doesn't support Network Level Authentication (NLA). Under the Security tab un-tick the option Allow connections only from computers running Remote Desktop with Network Level Authentication. Set Security Layer to RDP Security Layer. 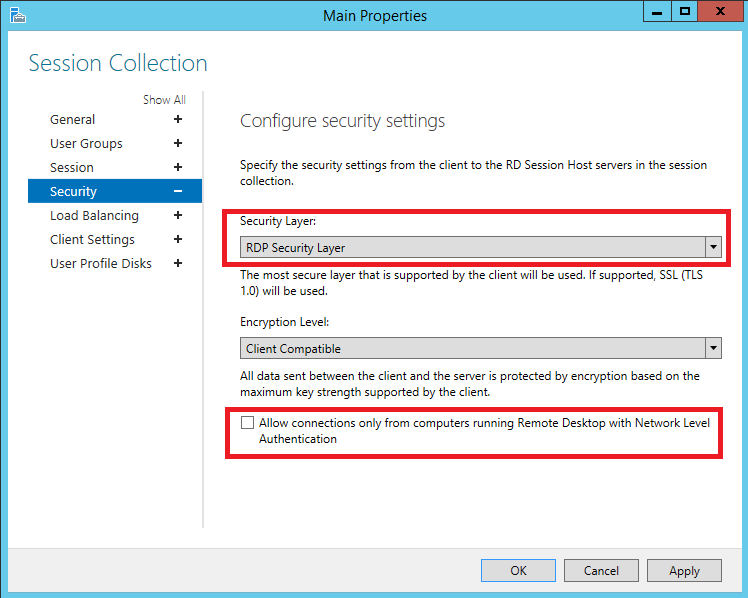 Enable the Require use of specific security layer for remote (RDP) connections and select RDP as Security Layer.